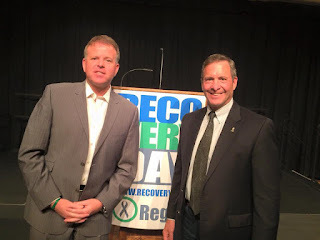 We're back for Round 2 of the Pedersen Recovery Rodcast! As we continue to bring together the worlds of Recovery and professional sports, we chat on this episode with All Star NHL goaltender Clint Malarchuk. 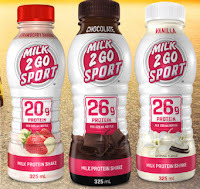 We're also proud to announce the Rodcast is sponsored by Fine Foods and Saputo Dairy's Milk2Go Sport! To perform like a Pro you need to recover like a Pro. Clint Malarchuk is a product of Grande Prairie, Alberta and played in the WHL with the Portland Winterhawks before being drafted in the 7th Round of the NHL Draft by the Quebec Nordiques. Clint was in the NHL between 1981-1992 with the Nordiques, Sabres and Capitals and was named an NHL All-Star. He also was the victim of one of the most tragic events in NHL history when his throat was slashed by an opponent's skate and he nearly bled to death at the Auditorium in Buffalo. That was one of many traumatic events Clint has experienced in his life and he turned to alcohol to "self-medicate" with disastrous consequences. Clint also wrote the book The Crazy Game in which he tells stories from the crease but also of his lifelong battle with Mental Illness. Listen to Clint's interview here, and hopefully you find some inspiration like I did from Clint's story!